We’ve selected what we feel are the key examples of Vancouver Buildings, BC. We cover completed buildings, new building designs and architecture competitions across British Columbia. 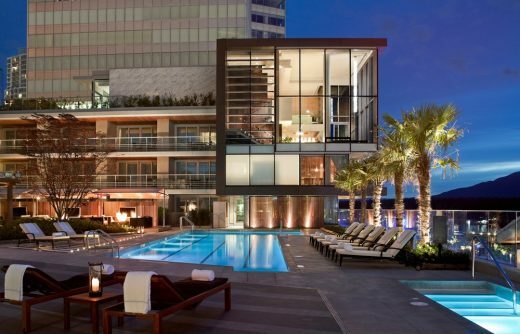 The focus is on contemporary British Columbia buildings. We have one page of Vancouver Architecture selections. Vancouver is located British Colombia, Canada, in the northwest of North America. Celebrated recent buildings include the Vancouver Convention Centre West by LMN Architects + DA/MCM, Jameson House by Foster + Partners and the Faculty of Pharmaceutical Sciences / CDRD by Saucier + Perrotte / HCMA. All these buildings can be visited on our British Colombia Architecture Tours. Famous architects with buildings in the city include Foster + Partners and Saucier + Perrotte. Also working on designs for the city are BIG and John McAslan + Partners with Merrick Architecture. This 26,700-square-metre (290,000 sf) landmark building anchors the regeneration of an industrial zone and is a catalyst for its redevelopment and connection with the city. 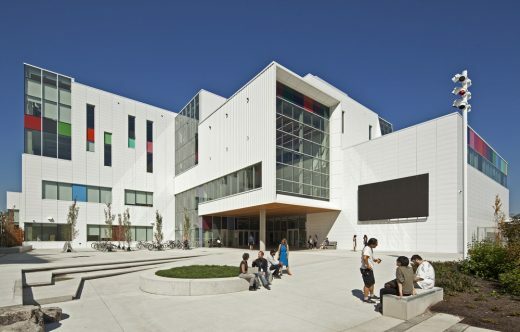 To engage the community of this emerging cultural and academic precinct, the campus has an open and accessible design that welcomes the public into the creative processes on display. A bold reinterpretation of luxury has arrived at Fairmont Pacific Rim –‘The Owner’s Suite Collection.’ Designed for the elite, in-the-know traveller, the new collection of 10 suites are more than a place to stay, they’re a place to be inspired by the city’s DNA with elements of fashion, art and music. 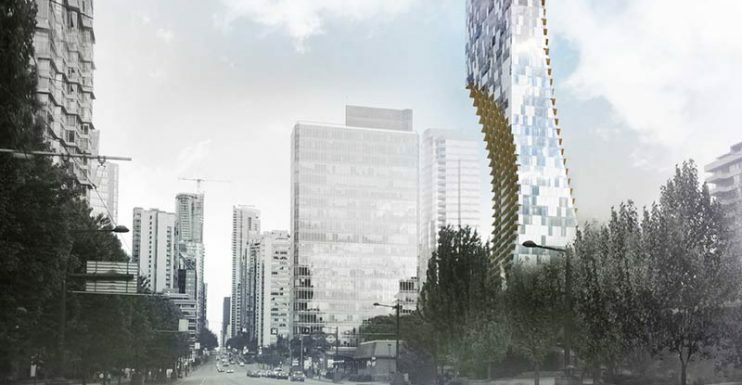 Alberni by Kuma is a 43-storey residential tower at Alberni and Cardero designed by Japanese architect Kengo Kuma for Westbank Projects Corp in Vancouver. This residence nestles into a mature, heavily vegetated corner site in Vancouver’s historical Dunbar-Southlands neighborhood. A year-round fresh water stream divides the irregularly shaped property as it threads its way below Marine Drive to the south. The lush basin resulting from long-standing environmental forces sets the stage for a dramatic and highly contextual architectural response. 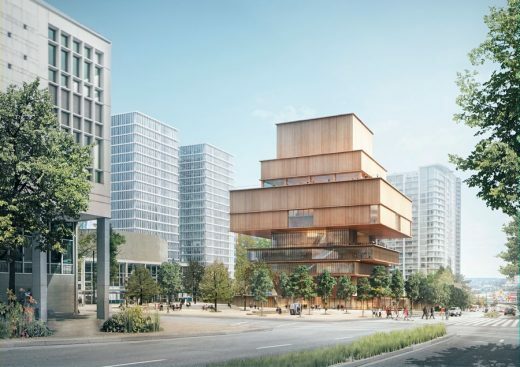 The Royal BC Museum has appointed the international award‐winning lead architect John McAslan + Partners (London, UK), with local support from Merrick Architecture (Victoria, BC), to create a master plan which will lay the foundation for the renewal of British Columbia’s museum and archives. The master plan is expected to set the framework for a realistic, functional and affordable future development given today’s economic climate. 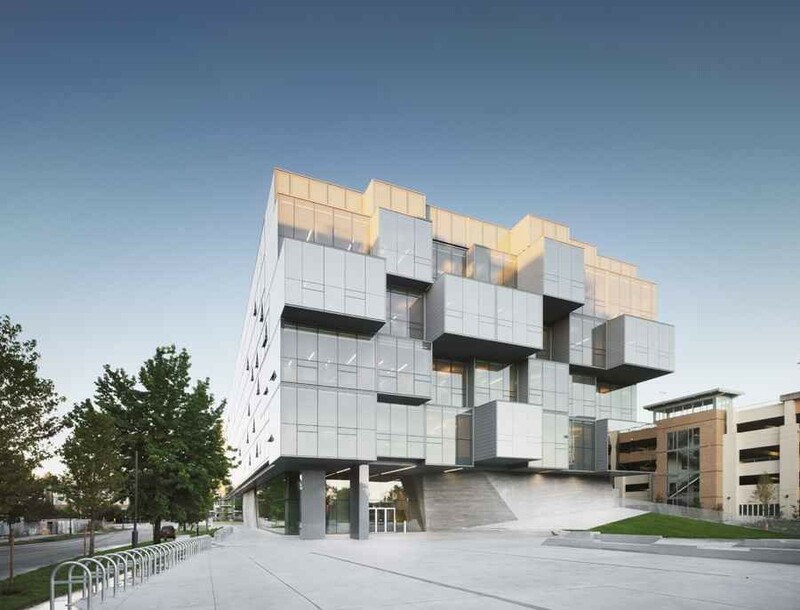 The Faculty of Pharmaceutical Sciences and Centre for Drug Research and Development is sited on the corner of Wesbrook Mall and Agronomy Road, in the Heart of UBC’s campus. The site consists of a 20 240 square metre parcel of land that is located at an important university entry point. With this in mind the building has been designed to act as a gateway to the southeast edge of the campus, engaging the community with a ground floor that will be open, transparent, inviting, and one that will showcase the public function. The 490-foot-tall Beach and Howe mixed-use tower by BIG + Westbank + Dialog + Cobalt + PFS + Buro Happold + Glotman Simpson and local architect James Cheng marks the entry point to downtown Vancouver, forming a welcoming gateway to the city, while adding another unique structure to the Vancouver skyline. 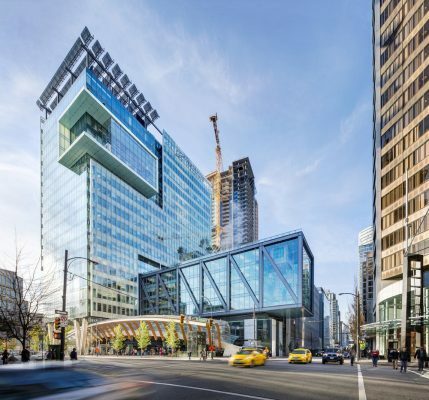 Jameson House is a new 35-storey mixed-use tower in the heart of Vancouver and includes the first residential development to be completed by the practice in North America – completed at the end of last year, already the building is now almost fully occupied. The project combines the restoration of heritage buildings with new construction: the lower level offices and shops knit with the existing streetscape to reinvigorate the downtown neighbourhood, while the apartments above face dramatic views of the bay and create a new landmark on the skyline.